Christmas tree is the main attraction of Christmas. Everyone like to decorate the tree in their own creative way. Creative Nails also wanted to try something new and creative. And the result is here! Instead of drawing Christmas tree I used nail art flakies. Isn’t it pretty? Do comment below. 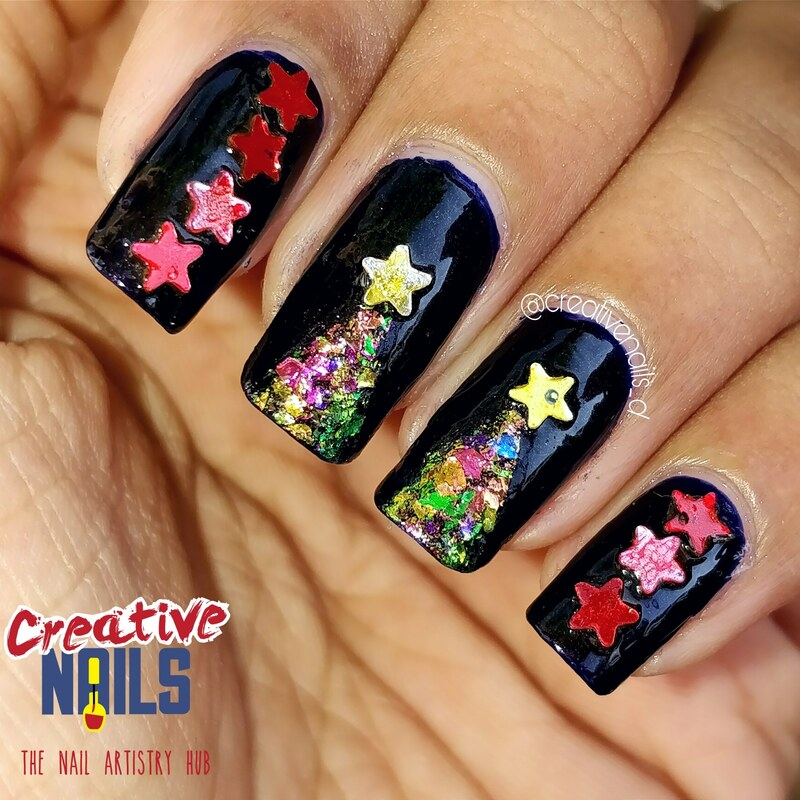 ← Merry Christmas 2017 Nail Art! !